What is included in a Managed report at the conclusion of testing? - RedWolf Security Inc. Describe the contents of summary reports provided at the conclusion of testing. A redacted report / template is available once a mutual non-disclosure agreement has been executed (MNDA). 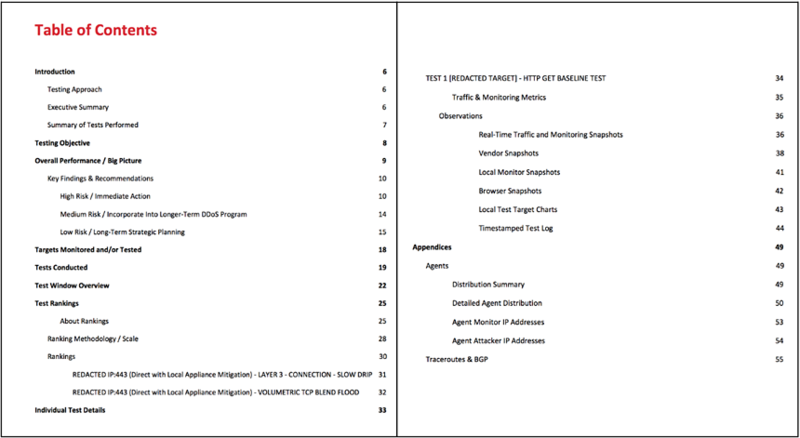 Reports are typically around 100 pages long and include executive summaries, individual test rankings, and detail sections for every attack vector with charts/graphs/observations.